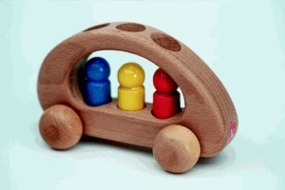 All toy vehicles are made from solid wood. Some were awarded the German "Spiel Gut" toy award for toy design, quality and educational value. Don't forget the bendy people to operate the trucks and other equipment.